After every storm lots of debris is washed up on the beach. Hurricane Isaac was no exception. Don’t worry because it won’t be long until they have all this mess is cleaned up. Then it is back to normal along coastal Mississippi. 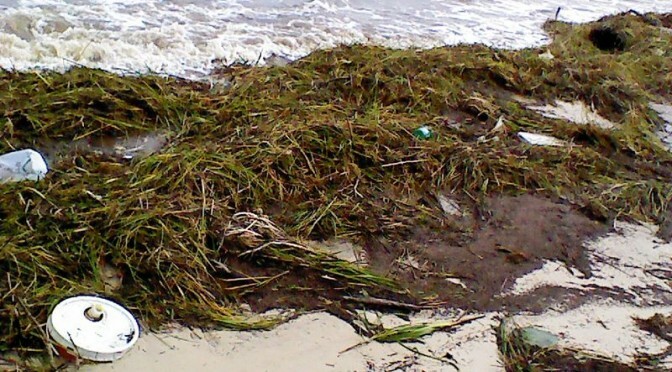 The beach and road cleanup crews have been through this before and are experts at the task. The beaches in Waveland are now cloased till the mess is cleaned up. National Guard and Waveland Police Departments will be patrolling the entraces to Beach Blvd. Thanks for all the hard work guys and gals. We appreciate it!